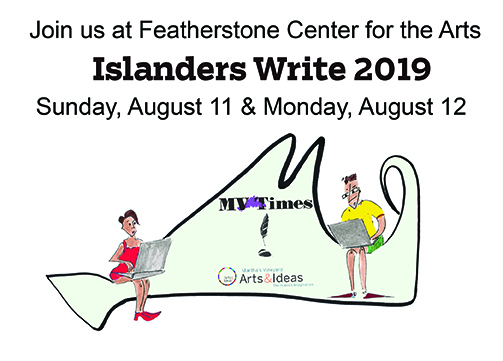 We are currently putting together Islanders Write 2019 and will continue to post updates. We’d like to offer a heartfelt thank you to everyone who joined us last year. 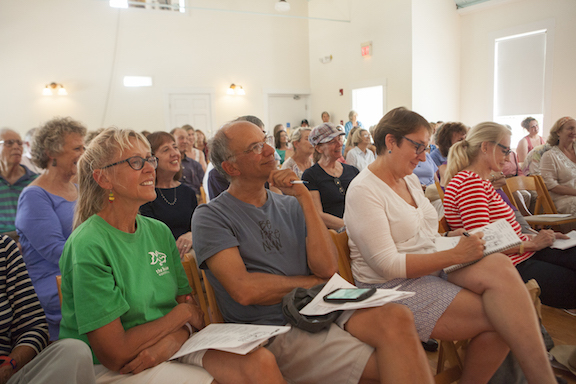 We’ve loved having this event at the Grange Hall in West Tisbury, but after the last few summers we realize it’s simply too hot in August to hold this event in a venue without air conditioning. 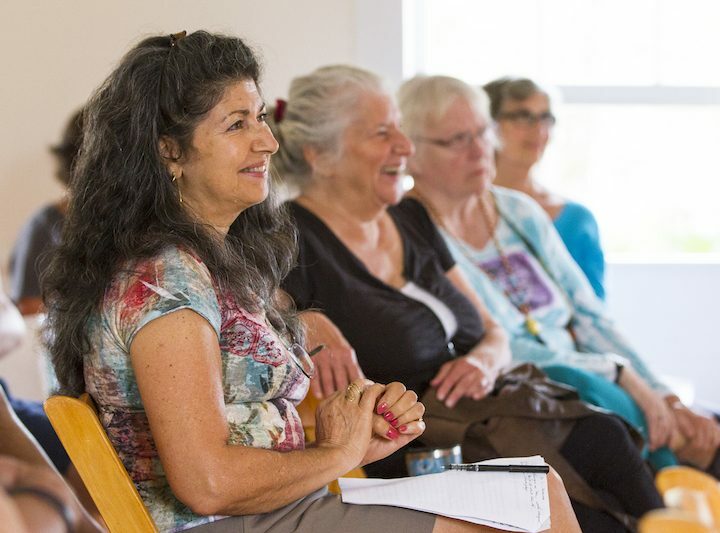 We are very excited to be moving to Featherstone Center for the Arts this year. Along with air conditioning, Featherstone has more room for breakout sessions and workshops and plenty of parking. We may be moving, but much about Islanders Write will remain the same. There will be the panel discussions, writing workshops, and open mic session. The Chilmark Coffee truck will be on site in the morning and Scottish Bakehouse will be selling their delicious food all day. Bunch of Grapes Bookstore will be there with IW author books for signings. 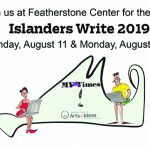 And as always—Islanders Write will be free and open to the public. If you weren’t able to make it to last summer’s event—below is the 2018 schedule. 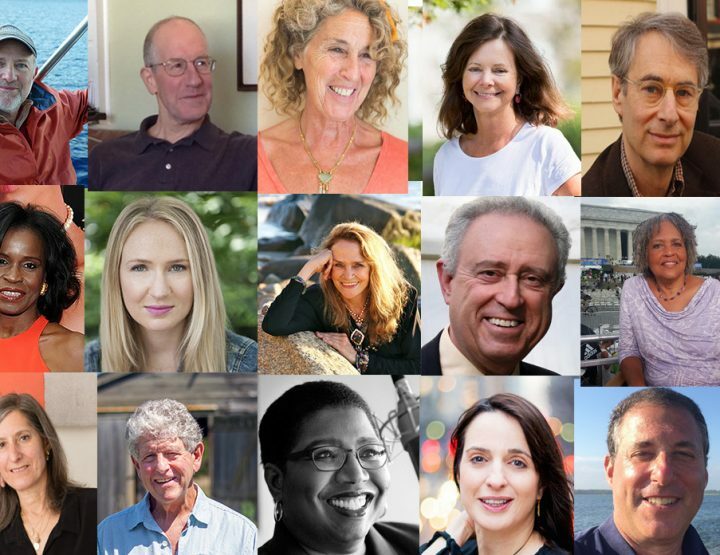 Check back here for more details about Islanders Write 2019 in the coming weeks and months or sign up for our newsletter. Should the press be taking an unconventional approach to covering an unconventional president? The year in coverage and thoughts on moving forward. As with all Islanders Write events, this discussion is free and open to the public. First come, first seated. We will be streaming this discussion live on a screen downstairs for anyone who does not get a seat upstairs. Panel discussions, writing workshops, an open mic, author signings, book repurposing and more! 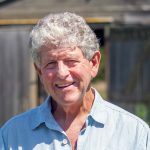 Four columnists for Vineyard publications discuss their approach and turning your column into a book. Digging down with detective work and coming up with a narrative. 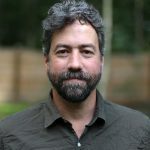 How true crime writers work with sources, develop stories, and stay sane. Do you have an idea for a book to pitch? Make your pitch and hear feedback from an editor, agent, and author. Interested in pitching your book project? Click here for pitch panel guidelines. “And how are you?” How to help your characters speak. The do’s and don’ts of dialogue. Working through trauma, sickness, and other life upsets with the written word. When fair and balanced aren’t the point. Writing with change in mind. Two Pulitzer Prize winning novelists, essayists, and journalists who have been at this for a while sit own for a chat. Three generations from a family of songwriters join us for our final panel of the day. 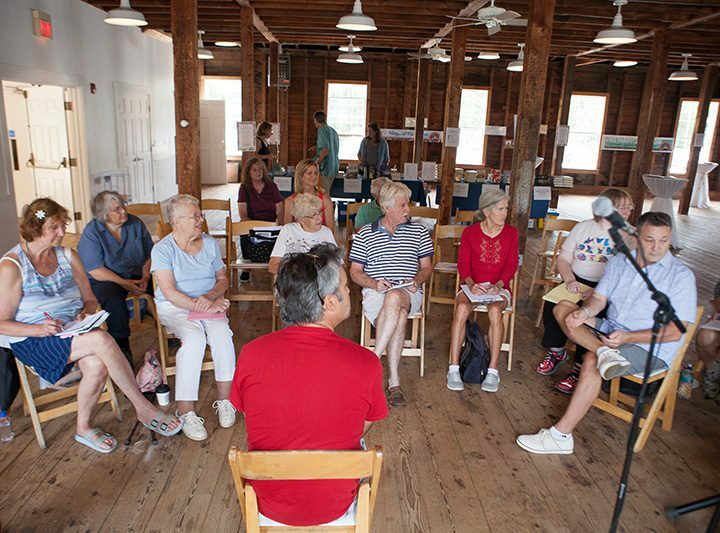 Support and chat with “Islanders Write” authors by purchasing signed copies of their books. Bunch of Grapes bookstore will be at Islanders Write all day selling books. Please support our local bookstore and our Island authors. Join us early and start writing! One-on-One Feedback for Your Novel-in-Progress with novelist, short story writer, and playwright LaShonda Katrice Barnett. Guidelines: Please submit a one-paragraph description and between 10 and 15 pages, but no more than 15, of your novel or short story (saved as a .pdf only) to kate@mvtimes.com. These sessions are geared toward writers who have already completed a draft and at least one revision of their submitted work. The first six manuscripts submitted are the lucky recipients of conference time. As soon as we have received six qualifying manuscripts, we will notify participants of their feedback time, and stop taking submissions. Write something about the Vineyard/Vineyarders in all its/their splendor. Write from an insider or outsider’s perspective. Homage, memoir, personal adventures and and tales of Island legend all welcome. Keep it under five minutes. 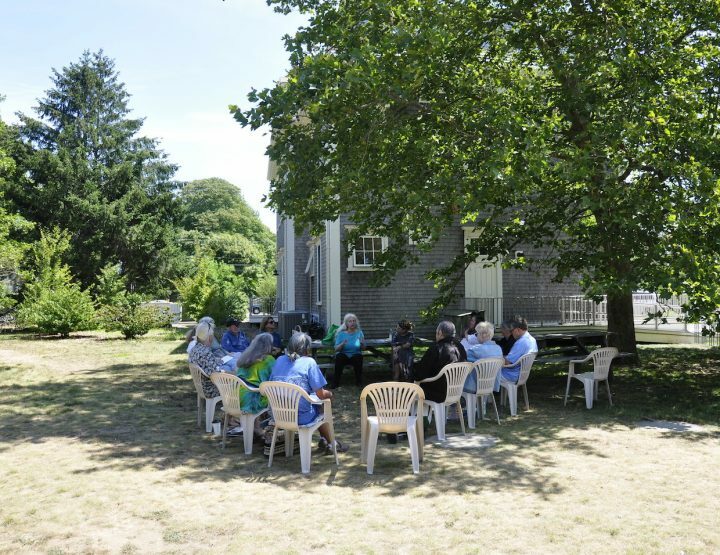 Niki Patton facilitating this event which will take place at The West Tisbury Library. Got a story idea for The MV Times or MV Arts & Ideas Magazine? Look for The MVTimes editors at The MVTimes table on the first floor. Hungry? Scottish Bakehouse will be at The Grange with a delicious sampling of sandwiches and pastries. Questions about Islanders Write? Email kate@mvtimes.com.